Home › Politics › What Right to Privacy? The right to privacy is the foundation upon which abortion rights (and I’d argue more broadly, health rights) are founded — it is enshrined in Roe v. Wade, not to mention basic logic. However, as we’ve seen over and over and over again, anti-choice groups consistently try to undermine this right. Now, we can add to the list of right to privacy violators a disgruntled ex-boyfriend. Hell hath no fury like this guy: Greg Fultz lashed out at his ex-girlfriend with a billboard featuring a picture of him holding the outline of an infant reading, “This Would Have Been A Picture Of My 2-Month Old Baby If The Mother Had Decided To Not KILL Our Child!” The ex-girlfriend—whose friends claim she had a miscarriage, not an abortion—took Fultz to court for harassment and violation of privacy, and a court official has recommended the billboard’s removal. Fultz’s attorney claims that’s a free speech violation. Fultz himself isn’t entirely sure the fetus was aborted. Wow. Can you imagine being that woman and seeing said billboard on the way to work? How humiliating — and violating. Even if she DID have an abortion, it is her right to privacy that protects her decision. As far as a free speech violation goes, it is my belief that one right (speech, for example) should never be used to violate another (privacy). That negates the point of having rights. 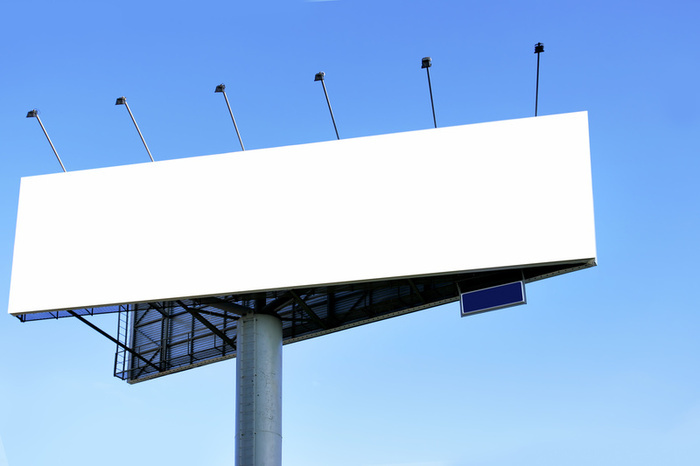 So why the court recommended the billboard’s removal — not even definitively ruling one way or the other — is beyond me. To add insult to injury, pending further legal action, the billboard is to remain up for the next three months. So I repeat… what right to privacy? ?